Enjoy outstanding ocean views from this luxurious condo in popular Croc´s Resort. It´s location on the 11th floor provides expanded views of the ocean and the city lights of Jaco at night. 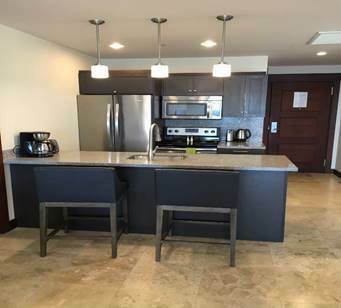 Fully furnished and turnkey, ideal vacation rental unit, with professional on site property management. Croc´s offers many amenities including multiple onsite restaurants, shops, fun entertainment and Las Vegas style Casino. Designed to take advantage of the prime ocean front location with huge swimming pool and outdoor recreation area, tiki bar restaurant, etc. Steps to the beach. Low HOA fees.